Once the world’s most beloved casino game, a new report has revealed the popularity of blackjack has been on a rapid decline over the past 30 years. The report released by the UNLV Center for Gaming Research titled ‘The Evolution of Casino Games, 1985-2016: An Examination of Shifting Unit and Revenue Trends’ explored the evolution of casino games on the Las Vegas Strip. The aim of the study was to see how well various table games have performed over time to determine how the table game landscape has changed in Nevada over the past 25 years. 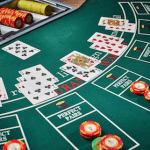 The research suggests that traditional table games like blackjack and craps have experienced a dramatic decline in popularity that will likely continue in a downwards spiral. In 1985, blackjack accounted for 77% of all casino games on the Las Vegas Strip, and was responsible for over half of all casino revenue generated from table games. By 2016, blackjack accounted for only 51% of the casino games on the Strip and accounted for only 29% of all table game revenue. The reason for the decline is likely due to technological advances, with more players drawn to electronic gaming machines and in more recent years, the shift towards online gambling. 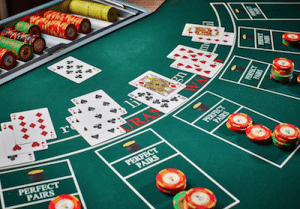 However, the research also reveals a steady increase in the popularity of baccarat, with the win share of baccarat almost quadrupling since 2005. Baccarat has been out-earning blackjack on the Vegas Strip since 2009, although has started to slow down again in recent years. The increase in the popularity of baccarat has been noted worldwide, as more Asian gamblers and high rollers flock overseas to frequent foreign casinos. Roulette has also doubled its revenue share and popularity since 1985, increasing from a revenue share of just 6.6% to 10.03% in 2016. What does this mean for the future of blackjack? While the report shows that interest in blackjack at Las Vegas casinos is certainly on the decline and will likely continue to spiral downhill, it’s hard to say what this means for the future of blackjack, as the report doesn’t take into account online gambling statistics. We would also love to see how these statistics compare to the rest of the world, especially in Australia where the demand for blackjack at land based casinos seems to remain strong. 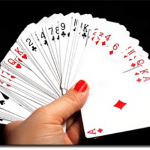 Blackjack is known to be one of the most popular table games played at online casinos, especially thanks to the launch of live dealer 21. With online casino vendors now trying to appeal to a younger generation of players, more may need to be done to keep new players interested in this classic table game. We expect that virtual reality blackjack is on the cards for some software developers, following in the footsteps of the virtual reality slot games that are already available online at Slots Million casino. See for yourself why so many players are turning to online casinos to play real money 21 by signing up for an account at All Slots Casino where new players can claim up to $1600 in welcome bonuses.